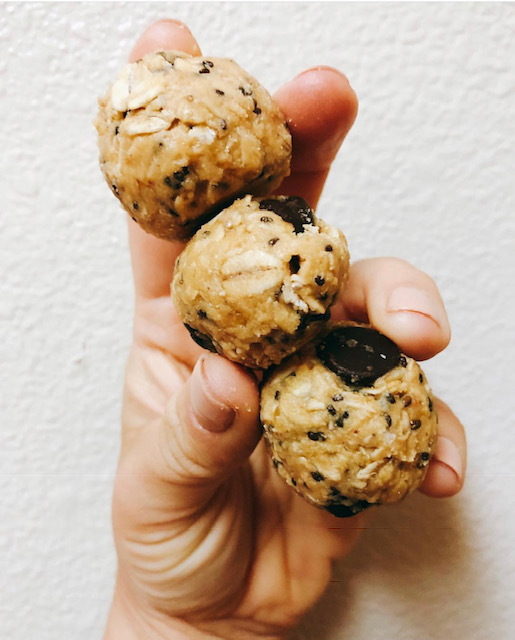 A healthy cookie dough protein ball recipe that athletes of all levels will love. This quick energy dense snack is my most popular recipe and helps athlete stay fueled throughout the day. Try before a workout for quick energy or pair with a chocolate milk after a workout for muscle recovery and glycogen replenishment. Peanut butter – can be swapped out with any nut butter! This is just one of the 50+ recipes in my recipe book located in the Reilly B Sports RD store! Check it out to see more recipes and meal plans.